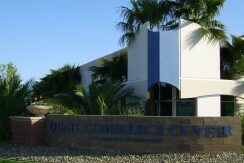 The Ribeiro Companies welcomes you to our web site and to our Properties. One of Nevada's leading development, design, and property management companies, we thank you for taking the time to learn about our company and our projects. We invite you to view our web site for the product that best suits your needs. As you look for the property that will best accommodate your requirements, please feel free to call us with any questions. At the Ribeiro Companies, one on one service for our tenants is always the priority. An organization's success is reflected in its employees. The purpose of this letter is to compliment and express my deep appreciation for the staff at your Park 2000 office. My business, CC English Training Institute, has been located at Park 2000 since 2005 and I have thoroughly enjoyed my relationship with the entire staff. They are knowledgeable, patient, courteous and extremely professional. I have always received exceptional service no matter what the problem or situation. Each and every request has been handled with a smile and a definite can do attitude. I know that the entire Park 2000 complex runs so smoothly because of their efforts and attention to detail. They make everyone feel like a part of the Ribeiro family. I would not consider any other location for my business. CGI has been leasing from Ribeiro for approximately 6 years now. During that time our experience with Ribeiro has been pleasurable. The staff at Ribeiro has always been helpful, polite and easy to work with. On a regular basis staff stops by to replace air filters; check on circuitry, emergency exits and leasing agents stop by periodically just to see if are doing ok. Above the rest Ribeiro provides excellent landscaping and beautification to their properties. I can always tell when I am on a Ribeiro property by the way the property is groomed and maintained: this means a lot to the image that we try to uphold here at CGI. I have never been guarded about recommending a Ribeiro property to acquaintances looking to lease. 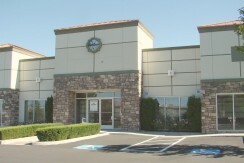 In my 24 years of operating an Insurance Agency for Allstate, I have had four locations of business. In each location, I have tried to maintain (what I would think of) a very amicable relationship with the Landlord's property manager and myself. In all of the previous locations, it was pretty clear to me that my dealings with the property manager was on a "they will get to me when they can" relationship. I haven't had an overwhelming need for extensive service from Ribeiro's property management service in the last two years of occupancy, but, when something does arise I have had consistent quality service and responses from Alex. When I have called with a need, concern, or question it is rare that the phone is not directly answered by Alex herself. That alone alleviates the need for me to wonder when I would get a response from any other property manager I have dealt with in the past. Thank you for the quick service and responses to my business needs. 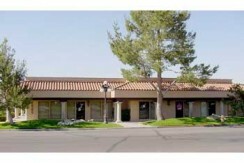 As you know, I have been a Ribeiro tenant at your 6630 South McCarran location since 1996. During this time I have been completely satisfied with my space and the Ribeiro organization. 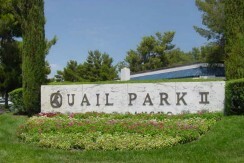 The grounds and common areas are kept meticulously clean and well manicured. 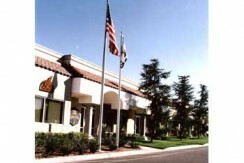 Parking lots are well maintained and kept free of snow and ice. I know of no other property that offers such attractive landscaping. On the rare occasion when I have required some maintenance, service personnel have always been prompt, professional and have taken care of the issue to my complete satisfaction. 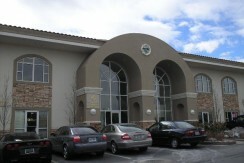 I would strongly urge anyone who is considering leasing office space to consider a Ribeiro property. The quality and professionalism at Ribeiro are second to none. I wanted to take a moment and pass along my appreciation to Ms. Amber Gardner for her outstanding efforts to get us entered into our new office space at 2700 East Sunset, Suite #5. 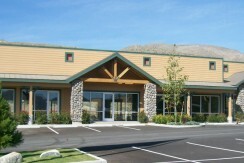 Chugach has been a tenant with Park 2000 since 2005, and have come to expect great support from Amber and her team. When our Corporation decided to expand our Operations, Amber was instrumental in showing us available properties, always being attentive to our needs and approaching every challenge with a "can­ do” attitude. Once the property was decided on, Amber stayed engaged throughout the process; she ensured all "punch list" items were addressed, and ensured a thorough cleaning was accomplished. We would also like to recognize Mike (Maintenance Supervisor), as well as Calvin (Maintenance Technician) -these gentlemen handled the facility modifications and other punch list items with urgency and excellent craftsmanship. A complicating factor was this move was accomplished during the holiday season. Amber brought over a Poinsettia plant and cookies -just another one of those "special touches” that made this move a pleasant experience. Again, please pass along our thanks for having such excellent folks on staff, and we look forward to continuing our relationship over the coming years. 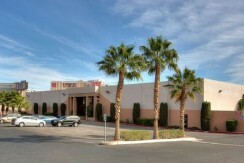 I just wanted to drop a line to say how much I appreciate your company and the professional staff at Plaza Vegas. I appreciate their quick response and their friendly faces when I pay my rent. It is so nice to go to the office and be greeted and they seem to have an interest in my business. I also appreciate the cookies!!! 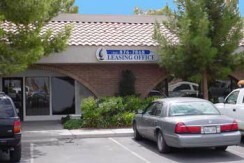 I have been leasing space from the Ribiero Companies since May of 2007. My physical therapy office space was built out to my specifications by Ribiero. I have found this company to be very professional, responsive to issues, and easy to deal with. Specifically, Ed Yuill has been wonderful to work with. He has helped me with problems and worked with me to manage cash flow issues in this difficult economy. He has been very reasonable when it came to designing the office build-out, and even four years later when I have needed his assistance. I have been leasing office space in this city for 27 years from four other companies, and my relationship with Ed Yuill and his staff has far exceeded all my other previous leasing experiences.